Not sure if you need a Personal Liability Umbrella Policy? Imagine this scenario . . . .
You’re hosting a play date for Brandon, your four-year-old son. You order an industrial-size container of juice, some pretzel snacks, and paper plates. You make sure the paper towels are accessible and prepare yourself for two hours of pure chaos. The kids begin to arrive: Jeremy, Sally, and Olivia. All have been waved off by their moms and dads, who are looking forward to a few kid-free hours. Olivia heads straight for the basement, Brandon and Jeremy have already started bickering over the movies, and Sally is running around the living room being an airplane. You are serving as referee in the Brandon/Jeremy dispute while wondering what Olivia is up to, when suddenly there’s a loud crash! You look up and see Sally crumpled in the corner of the room, holding her leg and screaming in pain. In the middle of the living room is Brandon’s little fake skateboard, lying on its side with one wheel still spinning. 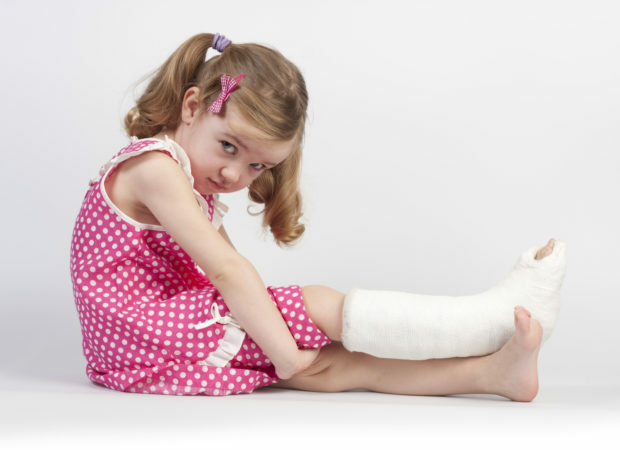 Sally, it turns out, has torn her achilles tendon as a result of her crash into the corner of your coffee table after stepping on the skateboard. She also sustained a concussion from the fall. After getting her diagnosis, Sally’s parents make two phone calls: the first is to their insurance company and the second is to their lawyer. A few weeks later, you are informed that you are being sued by Sally’s parents for the cost of the treatment and rehabilitation as well as the emotional distress caused by the injury – a total of $2 million. Coincidentally, when you add up all your assets and liabilities, you find that your net worth is right around that amount. The next step? You take a look at your homeowners’ policy. Most homeowner’s policies provide some coverage for this type of loss, but most max out at $500,000 – far below the $2 million claim. If Sally’s parents are successful in their lawsuit, everything you’ve worked for your entire life could be wiped out by the judgement against you. If you go online and look for examples of similar lawsuits that are brought, you will find people being sued because their four-year old was riding her bicycle and ran into an elderly woman, a babysitter slipped on their stairs, and their child posted defamatory comments about his math teacher on Facebook, or their dog bit someone or caused an accident. These are just a few examples. Having a high net worth can make you a target for these types of lawsuits. If you want to protect yourself against the type of claim described above (or other personal liability risks) you might want to purchase a Personal Liability Umbrella Policy. An umbrella insurance policy provides coverage on top of any existing liability coverage you may already have in place (such as your auto or homeowners policy), kicking in when that coverage is exhausted. For example, suppose Brandon’s parents had a homeowners’ policy with a liability limit of $500,000 and a $2 million umbrella policy. The homeowner’s policy would provide the first $500,000, and the umbrella policy would cover the remaining $1.5 million. Instead of losing the vast majority of their net worth, Brandon’s parents wouldn’t lose a dime. Unlike homeowner’s insurance, which everyone who owns a home should have, not everyone needs an umbrella policy. In order to determine if an umbrella policy is right for you, consider the value of the assets you want to protect. If you rent an apartment, have student loans up the wazoo, and have little to no savings or other assets, you don’t have a whole lot to protect. Getting an umbrella policy probably isn’t the best use of your money. On the other hand, if you have a net worth that significantly exceeds the liability limits of your homeowners’ insurance, then an umbrella policy might be a good investment. The other factor you want to consider is whether you are at higher risk of being sued than the average person. If you’re in a profession like medicine, law, or architecture that is frequently subject to lawsuits, you might have a greater need for excess coverage. Likewise, if you own a business or an investment property, your chances of being sued will often be higher. Other non-business related factors can also increase your risk of a lawsuit. Having a swimming pool, a trampoline, or even a dog can increase your risk of a lawsuit. Simply having a young driver in the house also increases your risk of being sued. How Much Does an Umbrella Policy Cost? While umbrella policies can be relatively inexpensive, the cost will depend on your family’s risk profile. For many people, $1 million of coverage can cost less than $20 per month, and added coverage can cost even less. On the other hand, if you have a higher-than-average risk of being sued, your premium can be much higher. An umbrella policy can be a great way to get a better night’s sleep, but bear in mind your personal situation and circumstances will have a dramatic effect on the premium you will pay. Consider using an independent insurance broker to shop around on your behalf rather than approaching a particular insurance company directly. Simon is a CERTIFIED FINANCIAL PLANNER™, originally from the UK. He has extensive experience on Wall Street and worked as a financial advisor at the United Nations, but is now the founder and principal of Anglia Advisors, a New York Registered Investment Advisor (RIA) firm in Manhattan that provides personal finance and investment management solutions by means of a unique, interactive financial planning process. His particular specialty areas are younger individuals looking to build, secure and protect their personal financial futures as well as foreign nationals either already located in the US or preparing to relocate here and the particular planning and relocation issues they face. The firm also offers professional investment management with no minimum asset level. How to Build Your Financial "House"